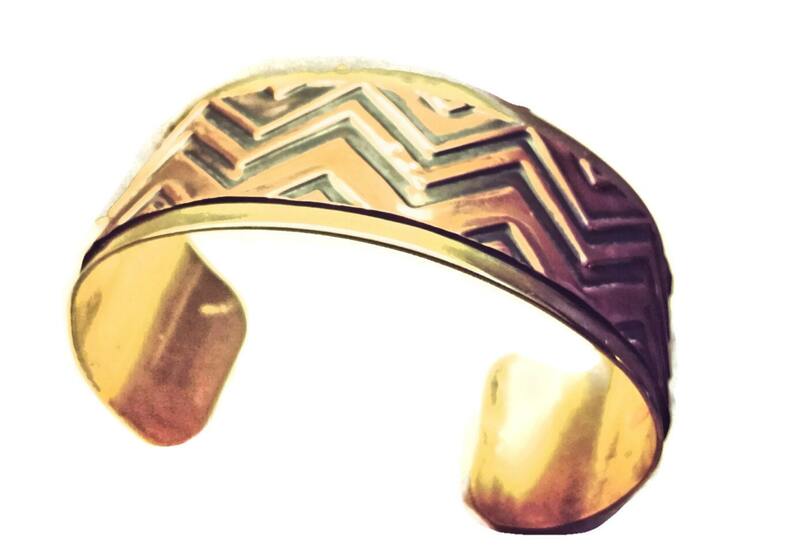 Embossed copper on brass riveted cuff bracelet. The rivets are holding this piece together. 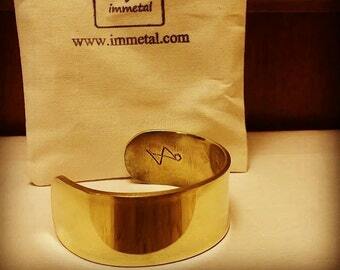 The underside of the cuff is polished smooth which makes it comfortable to wear. The zigzag pattern is a popular design. If you have any questions or requests please feel free to ask.